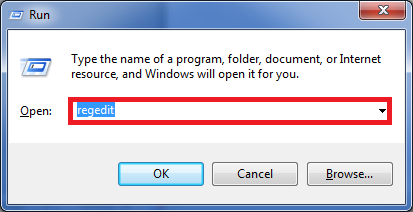 Warning: Changing the default directory may affect your some of the application to not work properly and incorrect entries can corrupt the OS. Here is the way to change the user directories that you have got by default. Start->’Run’->type ‘regedit’ ->will open the registry editor window. II. ProfilesDirectory: Profile directory for all users, here all the user data will be linked with specific folders. III. ProgramData: Customized programs related data for all users. IV. Public: Pulic folder to all users, all the users share this single folder. 3. Now double click on each value and change the directory as per your needs. Note: Remember that in order to take effect the changes log off and log on to user and well before that make sure the location that you have specified is existing and does not make any spelling mistakes. If you are getting some messages like “Some library features are unavailable due to unsupported library locations. Click here to learn more …” it shows that you ha some spelling mistake on the directory location that you have specified in registry. Verify that again.